I have to admit, I didn’t mind going to school when I was younger. I even loved taking notes, which I still do. 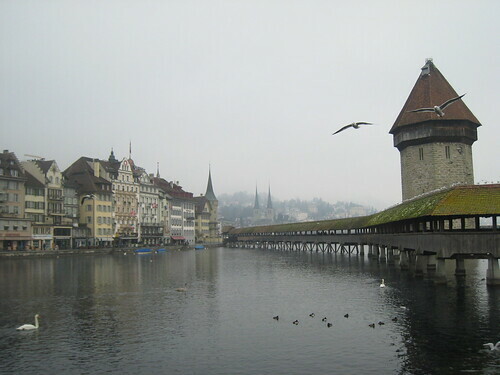 But I doubt I was asking for homework, like I recently did here in Zürich. 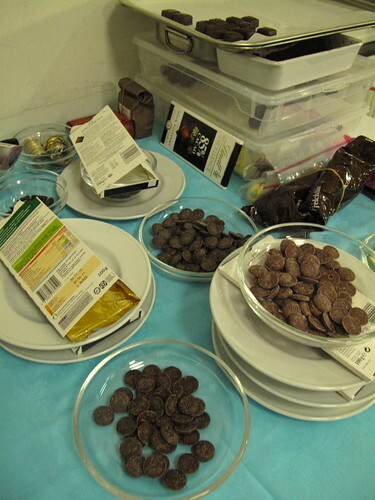 What kind of class was this, you wonder… Chocolate, but of course. 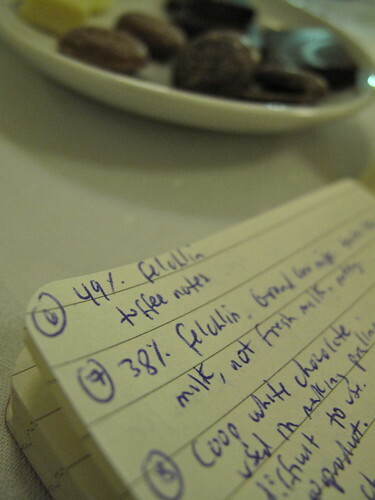 It was actually a class on chocolate and wine, even if my focus was certainly on the former. Our instructors taught us all about the cacao bean and the grape, what they consider two of the most fascinating products on earth. 1,000 aromas can be identified in a grape and over 500 in a cacao bean. “A lot of times, wine and chocolate go awful together. 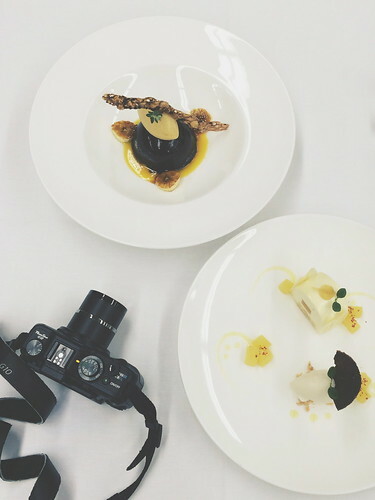 But if you get it right, it is an amazing mouth experience.” Wine has to be at least as sweet as the chocolate you are pairing it with. If not, the wine loses its flavor and gets very acidic. 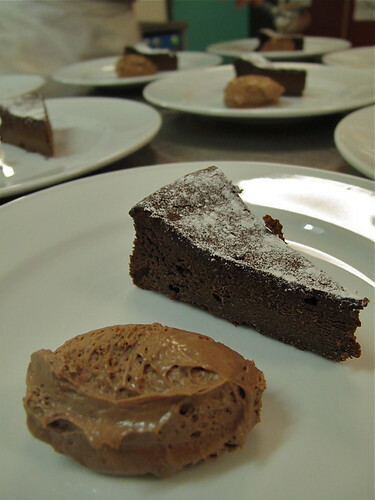 The more intense a chocolate dessert is, the more intense the flavor of a wine has to be. 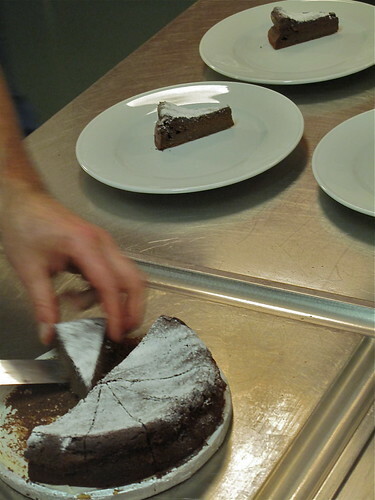 The more fat in that dessert, the more acidic the wine needs to be to balance the fat (fat absorbs acidity). 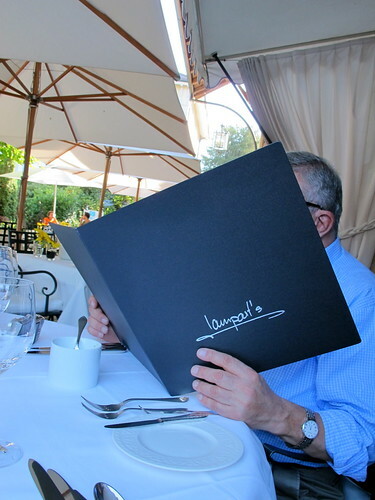 Therefore, a wine with high tannins and high alcohol will work to clean your palate so the wine can be tasted. Wines that match these criteria (intense flavor, high sugar, high alcohol, acidity) are often found in sweet, fortified wines or sparkling wines from the muscat grape variety. Jack taught us about how chocolate is made and touched upon its history too. As he explained how to taste chocolate and what to look for, we broke pieces in half, listening to it snap, we put it close to our noses to detect different aromas and let small pieces melt in our mouths. Around the table, everyone shared their reactions: “Nice mouthfeel. Tastes burnt. Mmm, I like this one better than the last. Nutty. Too much sugar.” We tasted assorted Swiss brands, some known for using more cocoa butter than others, or mixing and matching cacao beans, and especially varying quantities of sugar. Most of all, we were becoming savvy at detecting good quality chocolate — and for this, we clearly had to taste as much as possible to be certain ! From a round table tasting and discussion, to tempering and dipping we went. Armed with tools from a hardware store (the best place for chocolate accessories), it was time to make our own chocolates. We learned about chocolate’s two enemies, water and heat, and how to best work around that. 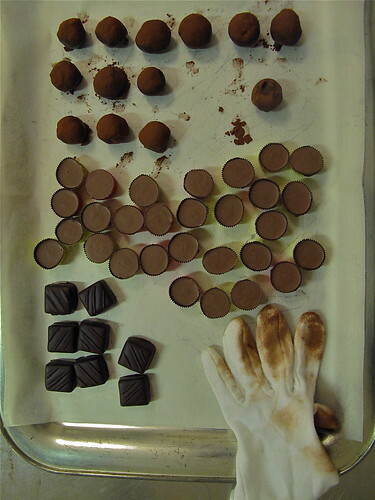 We played with the different proportions of chocolate and cream to get chocolate sauce or ganache to fill our pralines. 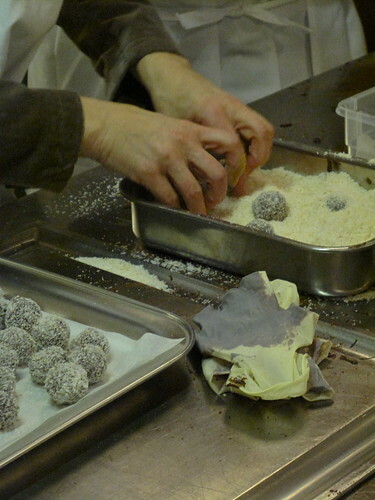 Latex gloves on and it was time to get messy – rolling truffles in coconut, cocoa powder and melted chocolate. 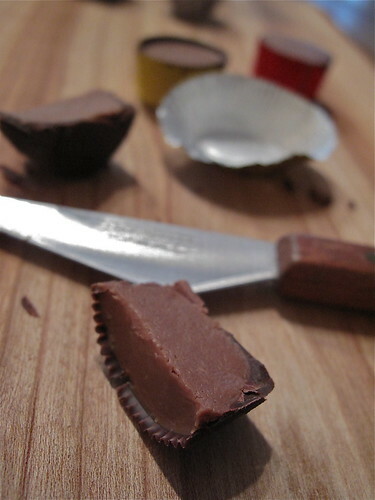 Of all the chocolates we made and desserts tasted (dark chocolate tart and milk chocolate mousse, in photos above), my favorite was definitely the mini peanut butter cup (recipe below). An even more delicious spin on an American classic that I don’t see here in Europe… unless it’s in a care package sent from New York for Halloween ! 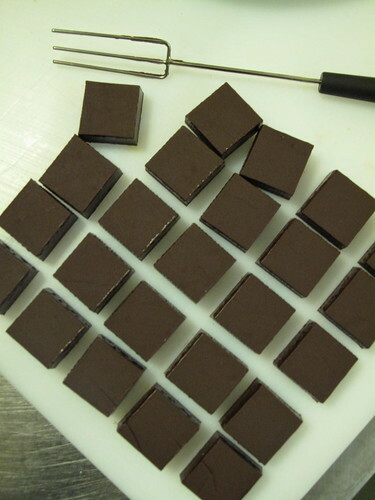 Jack made a silky peanut butter ganache using pure peanut butter (100% peanuts), 38% milk chocolate and sea salt. I’ve got a trusty jar of Jif in my cupboard (creamy, not crunchy), brought back from New York, but I’ll have to grind up some peanuts for this recipe. 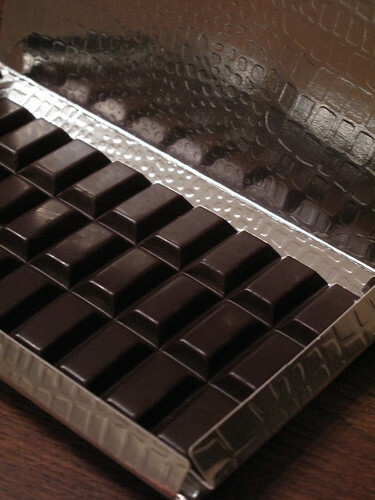 I’m not sure Silvia will approve, but I’ll be pairing these chocolates… with a tall glass of milk ! 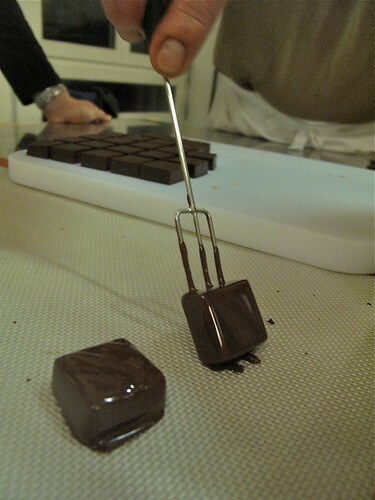 I’ll be back in Oerlikon, tempering and dipping chocolates with Jack soon, in preparation for Curious Courses next week. 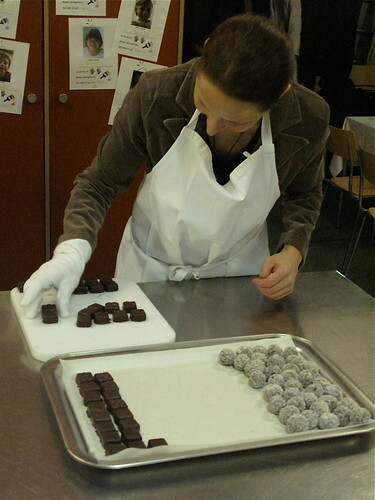 Jack and I will be teaching a class together called Chocolate Cravings, all about Swiss chocolate (history, making of, tasting, etc.). 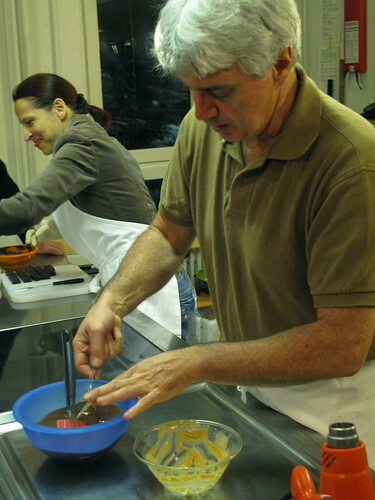 He and Silvia will also be offering their Chocolate & Wine class again this November, so keep your eye on their schedule page, that one will be sure to fill up fast ! Heat 120 grams of peanut butter (use only 100% pb) to 35°C (using a microwave or strong hair dryer). Melt 150 grams milk chocolate to 45°C. Add the warmed peanut butter to the milk chocolate and add a sprinkling of sea salt to taste. Mix well without incorporating any air into the mixture. Cool to 28°C. Meanwhile temper either dark or milk chocolate (Jack and I both prefer using dark chocolate for the pb cups, but most people prefer the sweetness of milk). 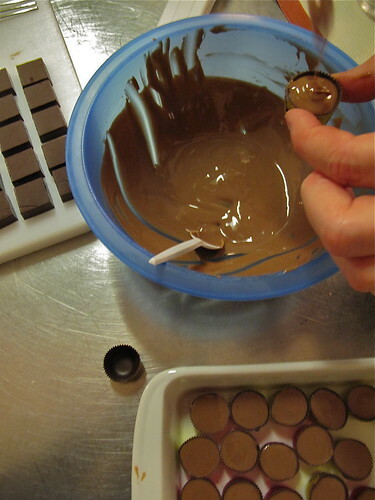 Add the tempered chocolate to little aluminum cups, allow to sit for about 30 seconds, then dump the chocolate out leaving a nice coating of tempered chocolate in the cups. Once the ganache is cooled, add it to the cups and allow everything to cool. Great post! The class looks like a lot of fun. Chocolate & wine two of my favorite things. Looks like it was a great class! I’m sure you learned so much more about chocolate because you are passionate about it versus what you learned in those required courses back in your school days. I don’t remember half of the texts I read in college, but give me a cheese course and I’m sure I’d become an expert! And peanut butter cups??? Yeah! You’re killing me! Peanut Butter Cups were sent by God in my humble opinion, so this entry has me a drooling fool. Homemade yet…that add a whole new dimension to the mighty PBC! 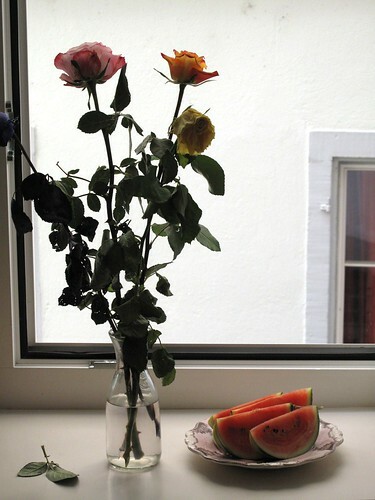 Mouth watering….lunch is going to consist of a bag of mini Reese’s today. I have to or someone could get hurt. An amazing mouth experience, for sure. How many of the 500 aromas do you feel adept at picking up from cacao? For me, perhaps 9. Maybe 7. Amanda, me and chocolate… and you and cheese !! Love it ! And you are so right… please don’t ask me any questions about computer science or economy or who knows what, haha ! But hey, you already *are* a cheese expert ! Thanks for the information about what types of wine should be paired with what kinds of chocolate. I can’t drink for medical reasons, but people often ask how to pair chocolate and wine because of my chocolate, um, experience. Now I can do it! Kerrin, 500 aromas?wow! I am still on my back. not even crawling on the chocolate aroma universe. loved this post. the choc and wine pairing info is so uselfu and at the same time exciting. I had never thought of pairing them necessarily. I need to take notes here my dear. Have to go back and read it a few times. Can you give another peak on the course you will be giving with jack? might have to try and do nov if not around 20th – i’m going to Singapore for a wedding then. Thank you so much for sharing all this. Oh brilliant, finally! 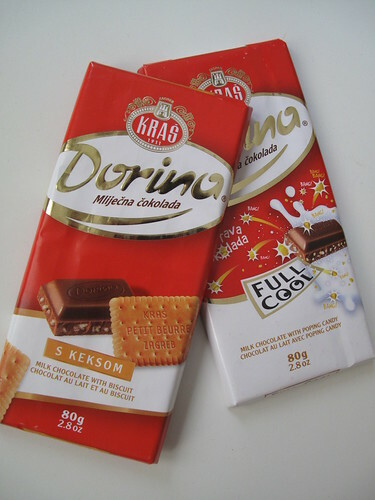 The perfect meal for the two of us: you eat the chocolate, I drink the wine… i am greatly pleased with this post. valentina, definitely take some notes – but most of all, try tasting chocolate and sipping some wine at the same time. See how it works, what you like… The class I am giving with Jack will be less hands on than his class shown above. 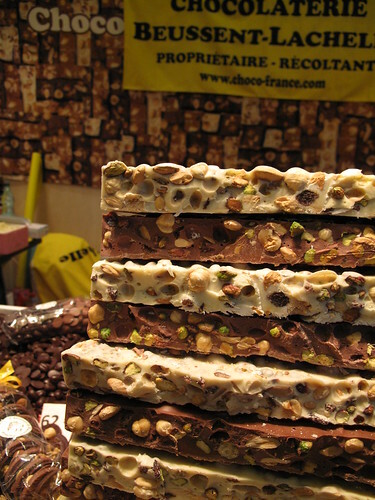 We’ll be lecturing more than making chocolate. 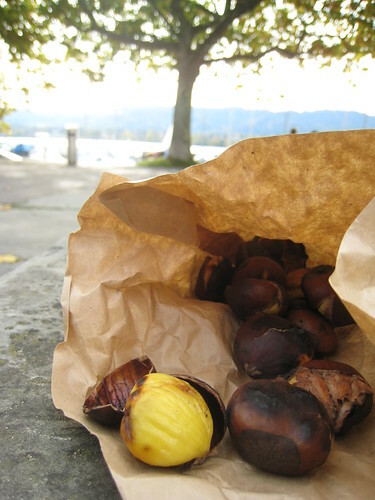 We’ll have to get you on a Sweet Zürich tour ! Seria ótimo !! Meanwhile I’m stuck up here in Vancouver in Reese’s Peanut Butter Cup territory. Luckily, there is also Thomas Haas – an excuse for you to go to western Canada! I wouldn’t have even thought of making a peanut butter ganache. Brilliant! I will have to try that. But not with Jif. Here it is a cream cleanser that removes tough dirt LOL! When I lived in Boston I could NEVER buy Jif. I opted for Skippy. You are some busy chocolate lady. (Actually, that’s what I’m going to call you from now on. The chocolate lady. Or Mrs Wonka? Which do you prefer?) You have your tours and your classes? Wow, I don’t know how you do it. Wish I could sit in a class with you. I’m sure I’d learn so much. Laughing Lemon’s classes are something I’m already planning to take once I move to Zurich. Thanks for a report! Sounds like they’ve got a really good teacher and I’m so looking forward to. Katrin, oops. A little late on the Recchiuti pb pucks, but I do believe you enjoyed some of his other stuff while there, no ? And what’s this about Thomas Haas… I’m guessing you don’t mean Haas avocados… ?! 😉 I don’t need chocolate to get me to go to Canada, just some Lululemon running gear, haha ! Julia, wooh I didn’t know you were so anti-Jif ! To tell you the truth, I think I grew up with Jif, but in my later years – tended to buy Peter Pan in fact. Not a huge pb eater anymore though. If you do make this ganache, and you should totally try – you need to use natural peanut butter, 100% ground peanuts, that’s it. Let me know if you do ! 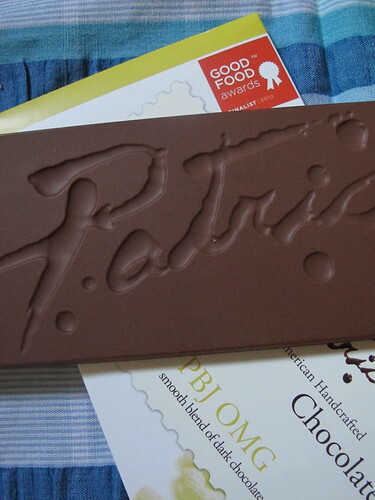 Oh, and for my new title… I kinda like “Chocolate Lady” – haha ! If I tell Olivier I’m Mrs. Wonka, he won’t get it – and will just be jealous, HAHA ! 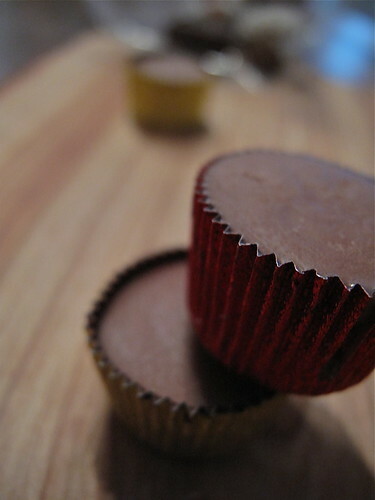 Mmmmmmm Reese’s now has Dark PB Cups, as well as white choc ones. It’s probably a dumb question but how do you temper the chocolate? 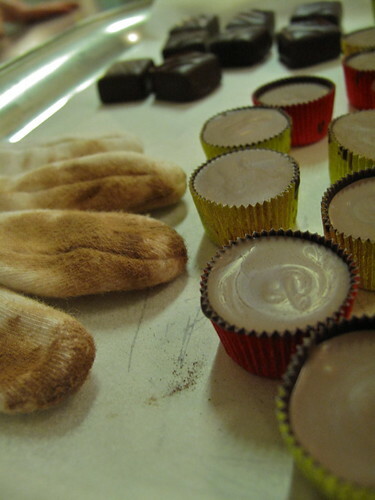 A hair dryer to melt chocolate?? That’s something I haven’t heard of before. You had me at peanut butter. Not even peanut butter cup, just peanut butter. But cups are good too, great actually. I moved to Zurich in January and have been trying to adjust to life without good peanut butter and cheddar cheese. I’ve been overcoming my cravings for the aforementioned foods by eating obscene amounts of chocolate and equally obscene amounts of bratwurst. I am going to have to look into taking one of these classes, sounds like a great time! Mhmmm … lecker schokoladig … ein schöner Post! 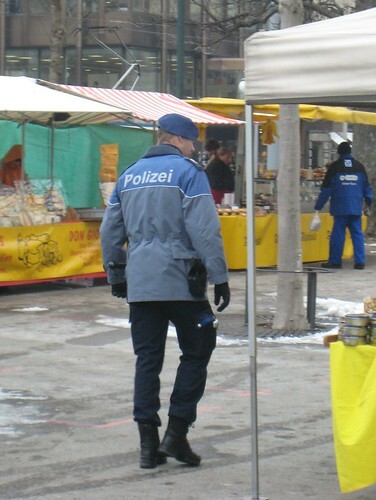 Herzlicher Gruß! 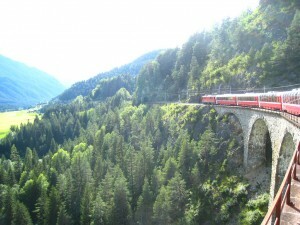 Talley, welcome to Zürich !! I like your strategy, and do hope that all that chocolate and bratwurst have made your transition here that much easier – and more delicious ! 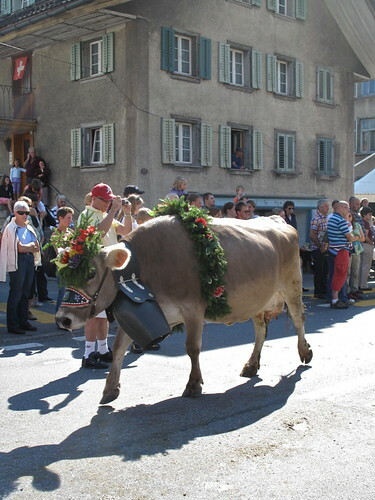 As for the cheddar cheese, you should check these guys out: //cheeseclub.ch/ – Enjoy ! Wow you are something! This all sounds delicious and I sure would be willing to try to make my own granola at home. Yesterday I saw how they make chocolate chip cookies at a factory and got totally turned off. If they can be done in a smaller place or at home, this would be better.